US equity indexes closed on the weaker side, sp -1.6pts at 2837. The two leaders - Trans/R2K, settled -1.4% and -0.6% respectively. 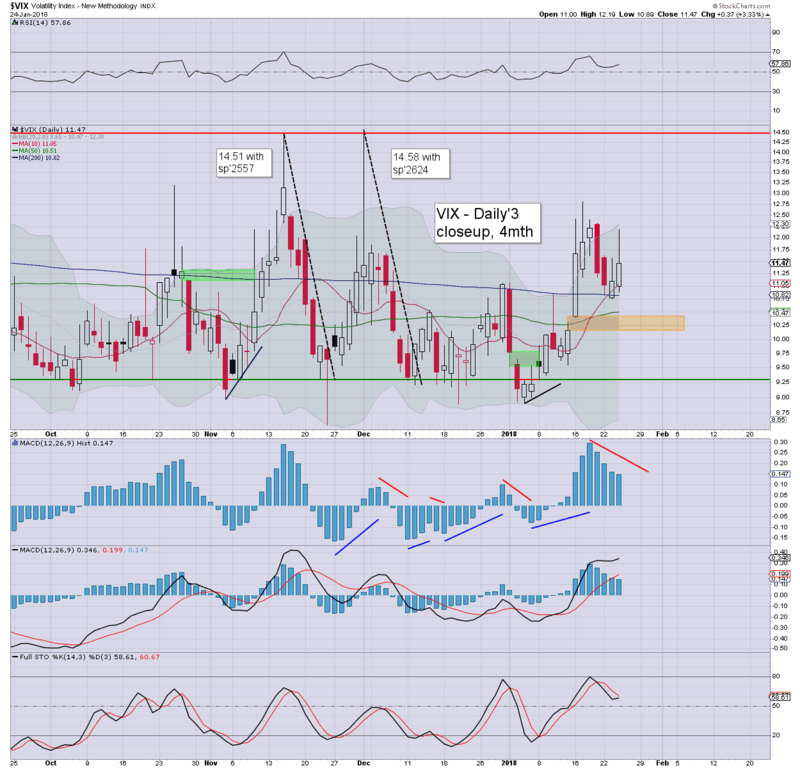 VIX settled +4.4% at 11.46. 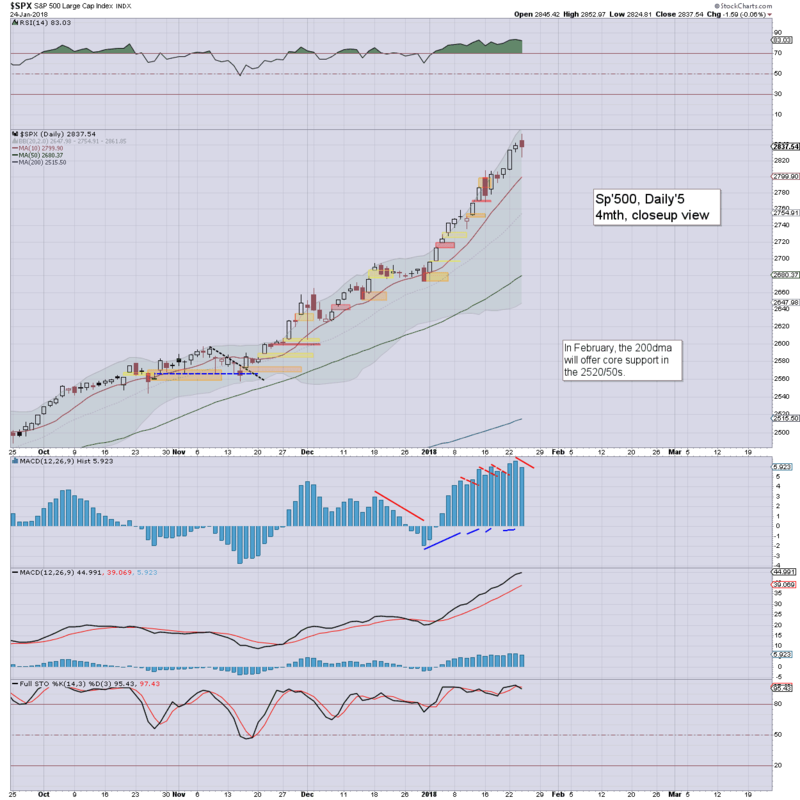 Near term outlook threatens a further little weakness, but nothing <2800. 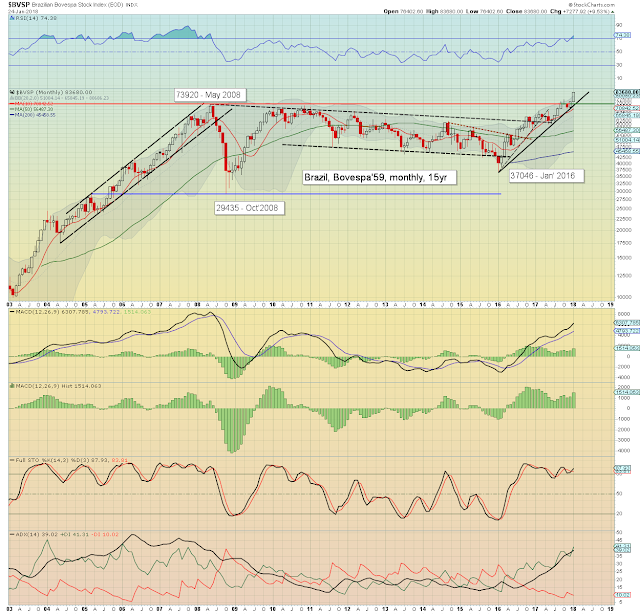 More broadly, the 2950/3047 zone remains on track within 2-5mths. 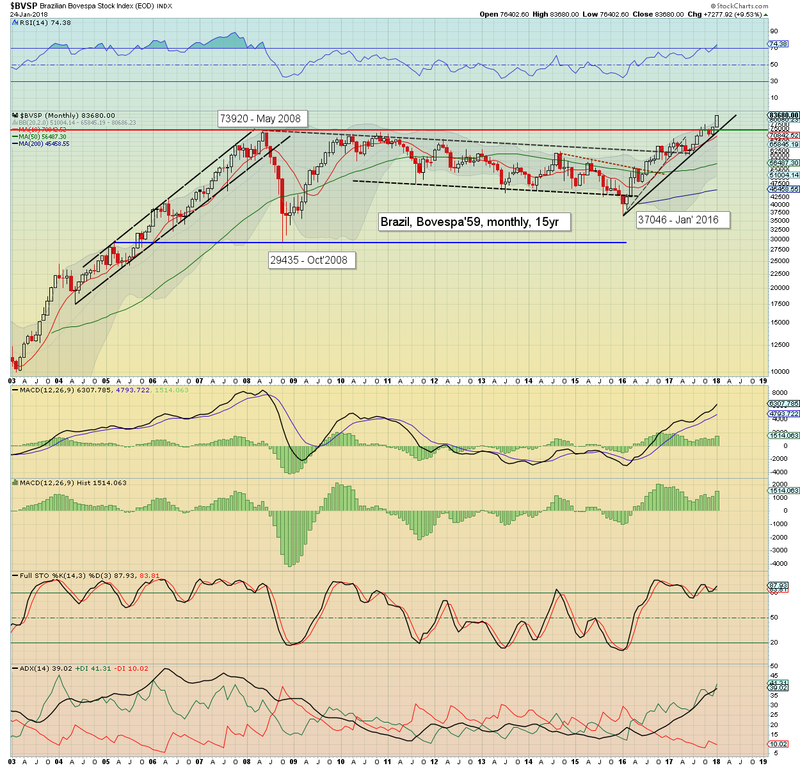 Equities opened higher, with the usual quintet of indexes breaking new historic highs. Again, the transports was the laggard, dragged lower by the market's (bizarre) notion that an air price war is a threat via increased capacity. There was a somewhat significant swing lower around 10.35am, with the sp' cooling from 2852 to 2824, before an afternoon recovery. 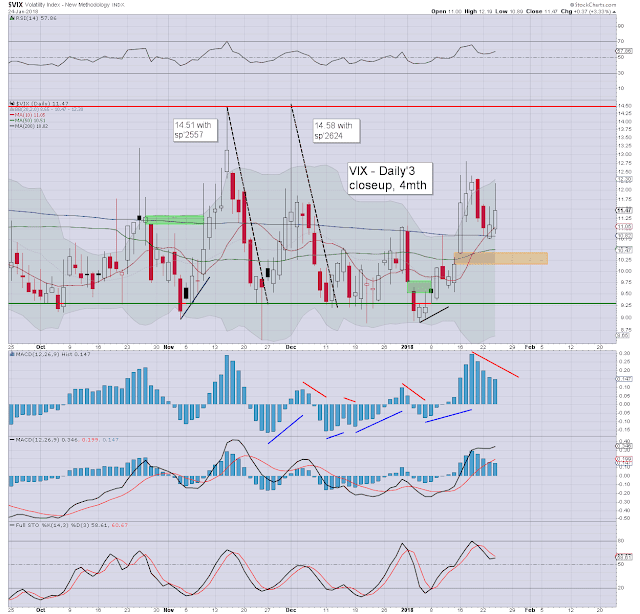 Volatility was positive for almost the entire day, settling moderately higher in the low 11s. Its notable the VIX has seen 11 positive closes out of 14 days. That is rather unusual. However, I still don't see any chance of sustained high volatility until equities have climbed another 4-5%. The Bovespa is currently +9.5% at 83680. 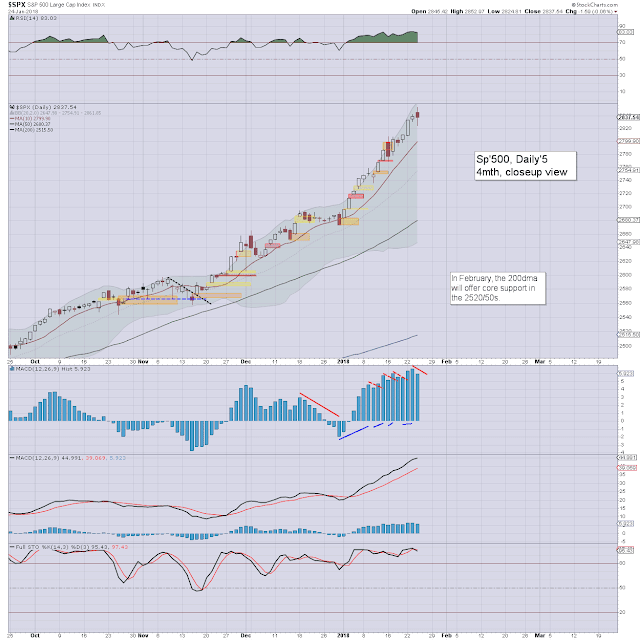 Its well on the way toward m/t bullish target of 100k. As I regularly note, higher commodity prices will especially help the BRICs.